Here are the answers to some of the most frequently asked questions about making a career change into pharma via our Springboard course. 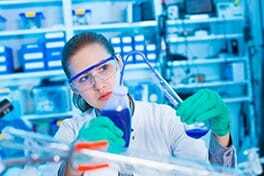 How can I check if I'm suitable for a career in the Pharmaceutical or Medical Device Manufacturing? Take this 30-second test to see how good a fit you are. Remember that the Enrolment Advisor will talk you through all you need to know about courses – there’s no need to apply before you talk to them. We retrain people to help them leverage their qualifications and work experience to move into a career in pharmaceutical or medical device manufacturing. It’s a Government funded initiative that helps transition people into different industries. Basically, Springboard might pay your course fees. Who is eligible for Springboard funding? Eligible people include those receiving JobSeekers Allowance, JobSeekers Benefit, One – Parent Family, Disability Allowance or are signing for credits. The full list of those eligible is available on the Springboard Website. If you are not eligible for Springboard funding, you can still take courses to reskill. How much that costs would depend on how many courses you need but it would be roughly €299 a month for 10 months. There are 30 weeks of academic work, that require about 15 hours a week of study time (although this can vary a lot depending on your work experience). You would be ready to start talking to employers and making applications at the end of the first of 3 modules. All of the courses are delivered online so there are no long commutes, traffic jams or crowded buses to deal with on the way to class. Study at a time and place that suits you. Our offices are based in Mahon in Cork but the course is online so you are able to complete it at home. You’ve already completed the first step – well done! Next up, an Enrolment Advisor will telephone you to discuss your suitability and all of your course options. If you want to progress after that, you’ll email me your CV. Once you have done this, I’ll pass you an application link for Springboard funding and you will be able to apply for that directly on the Springboard website. For full details, check out this article. NO Industry Experience or NO Academic Qualifications? First, you’ll need to take our Foundation Course in Manufacturing Safe Medicines to fill in your knowledge and qualification gaps and meet this program’s minimum academic requirements. The majority of the people are in their 30’s and 40’s. Some are in their 20’s and 50’s. What academic level is the course? The Certificate in eBioPharmaChem Program is a Level 7 Certificate Course and is academically accredited by the Dublin Institute of Technology. Because of this, you will meet the academic criteria for future employers. As well as being a standalone course, it is the first of 3 steps if you want to go on and study for a Bachelor’s of Science degree. It depends on the company and the job you would be doing but as an example – a Process Technician, which is a typical entry-level position, earns around €30,000. This would grow quite quickly and within five years the typical salary is around €40,000. Do you do job placements or internships? Throughout the course, you will receive career coaching which will go through job hunting in great detail. You’ll learn about CVs, networking, where to start looking for a job, interviews and much more! You’ll also have ongoing access to our Job Hunting Resources Centre. Finally, we’ll email you a link to the updated Irish Pharma Jobs Board twice a month. We collect jobs from over 180 websites and bring that information into one single location to make your job hunt as easy as possible. Each job is hyperlinked to the company’s website so you can start applying straight away. What companies could I potentially work for after for after completing the program? Our previous graduates have gone on to work for companies including Pfizer, Boston Scientific, Roche, Regeneron, Novartis, Amgen, Eli-Lilly, MSD, Abbott. If I get a job during the course, do I have to pay? No. Your funding is secure from the moment you start the course. Should you secure employment at any stage during the course (or even the very next day!) it is still free for you – so make sure to take full advantage of this and complete the course to get your official qualification. Or click on the “Blue Icon” on the bottom right to ask us a question.